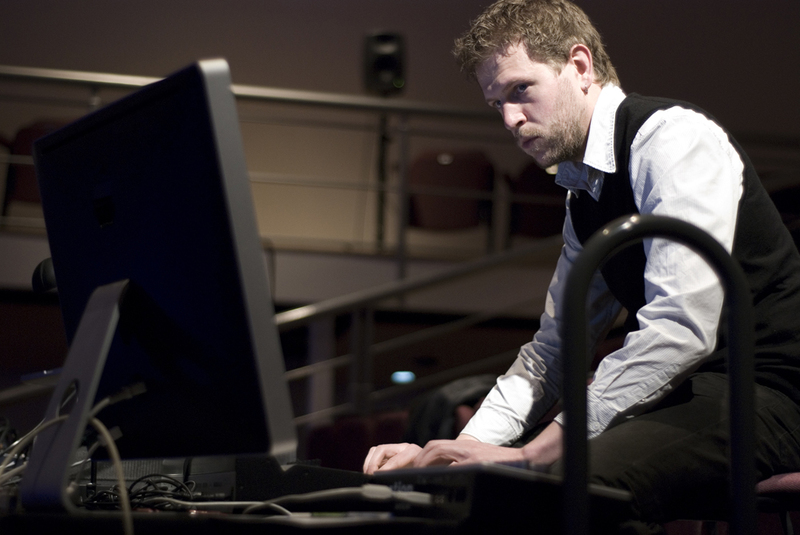 Adam Stansbie is a composer, performer and writer specializing in electroacoustic/acousmatic music – that is, music which involves some form of electronic mediation. Stansbie started composing electroacoustic music some 20 years ago, before completing a degree in music production at The University of Leeds, and a PhD in electroacoustic composition at City University, London, under the supervision of Professor Denis Smalley. During that time, he composed in a number of European electronic music studios (including the IMEB, France, Musiques et Recherches, Belgium, VICC and EMS, Sweden, amongst others), and he also had the opportunity to perform my music in festivals and events around the world (in over throughout Europe, Asia, North and South America and Australasia). Stansbie has since received a number of international awards for his musical works (Bourges, Metamophoses, Destellos, Contemporanea) and released music on a variety of different labels (Elektramusic, Taukey, Sargasso, ICMA, amongst others). I remember, as a child, waiting for my parents to go out of the house so that I could take the back of our upright piano, insert objects between the strings, and make sounds that I found really interesting. At that time, I hadn’t heard of a prepared piano and thought – as I’m sure others have done and will continue to do – that this was something that I should keep to myself. I remember sitting there for hours plucking and bowing the strings, refining particularly interesting sounds, listening to them gradually decay. That initial fascination with sounds, and ways of generating sounds, has stayed with me to this day and, as with them, I probably spend far too much time creating sounds that I will keep to myself. The most influential composer regarding my own work is undoubtedly Denis Smalley. Although I greatly admire his music, he influenced me through his comments, thoughts and guidance during the completion of my PhD in Composition. During this time, he provide a wealth of rewarding and meaningful insights into every aspect of the compositional process whilst providing a rigorous (and often highly critical) assessment of work in process. These insights and assessments are still with me today, and they continue to shape what I do in terms of my compositional practice. Although there are many other composers that I could list here, I have consistently returned to the works of Horacio Vaggione, finding his ability to establish and maintain high levels of tension and energy extremely unusual and rewarding. I typically employ working processes and methods derived from the traditions of musique concrete and acousmatic music. In most cases, I start with recorded sound materials before starting to process, develop, shape and sculpt these in the studio; I prefer to use non-real-time software (such as the Composer’s Desktop Project) for developing my sound materials, as this gives me much more control over precise details than real-time performative tools. My sounds (both initial materials and processed materials) are then sorted into categories, in order that I may work with distinct sets of materials within a given piece. Following this, I start to compose phrases and fragments. I don’t necessarily know where these phrases will end up in the piece and, in most cases, they are ultimately discarded. The few that are accepted and generally further developed and, by extension, a form gradually emerges, growing outwards from the middle towards the beginning and end. I find that I develop a great deal of musical materials during the composition of a work, but very little of this ends up in a finished piece. Please describe a recent work and provide an audio clip. Escapade was composed using tiny fragments of sound. At the start of the piece, the individual fragments are not perceived. Instead, they are so densely packed that they (perceptually) fuse into much larger structures; one hears the source recordings, which are largely, but not entirely, orchestral. As the piece progresses, the individual fragments become increasingly prominent; they no longer fuse into larger structures and are subsequently perceived as discrete units or entities. In this respect, Escapade was inspired by pointillist painting – a technique in which small, distinct points of colour are used to form a larger image. Escapade received First Prize in the Third International Competition of Electroacoustic Composition and Visual Music, Destellos Foundation, Argentina, 2010 and was a finalist Finalist in the VIII International Competition for Composers “Città di Udine”, Italy 2010.